While your eyes may be individual organs, they are designed to work as a team. For people with strabismus, this model is compromised. While there are multiple variations of strabismus, correcting the problem always requires retraining the brain to use the two eyes together. Strabismus is a condition where either one or both eyes are turned. 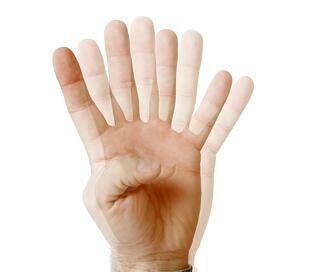 In persons with strabismus, the eyes can’t seem to get on the same page, literally. That’s because the eyes aren’t able to align on the same point at the same time. On appearance the eyes seem to be pointed in different directions. The disorder is often referred to as “crossed eyes,” though the eye(s) can be turned up, down, in or out. What Does the World Look Like for Someone with Strabismus? For people with strabismus, the eyes aren’t able to focus on a single point in space, and as a result, the brain cannot combine the two images produced by the eyes for a true 3-dimensional image. This is a problem because the eyes are meant to work together to accurately perceive surroundings. Seeing the world without both eyes working together can result in symptoms such as depth perception and coordination problems. 1. Direction of the eye turn - Although many people refer to strabismus as crossed eyes, the eyes can in fact turn in other directions including: up (hypertropia), down (hypotropia), inward (esotropia), outward (exotropia), or in rare cases, rotationally (cyclotropia). 2. Frequency of the eye turn - Next, we want to know how often the eye turn occurs. Either the eyes are always misaligned (constant strabismus) or only some of the time (intermittent strabismus). If a patient has intermittent strabismus, we try to determine when it happens and what’s triggering the turn. 3. Eye turns in one or both eyes - An eye turn can occur in one or both eyes. Whether one eye or both eyes are strabismic will impact how the person's vision functions and our approach to treatment. 4. Extent of the eye turn - Some eye turns are severe, while others are hardly noticeable. The extent of the turn may impact how quickly it is detected. A person with a more dramatic eye turn likely will see it at an earlier age and seek treatment, while someone with a more subtle turn may not even know they have a vision problem. That is why it is so important to have regularly-scheduled eye exams, especially for children. 5. Sensory Issues - Our brain wants to combine the images received from both of our eyes into a single, 3D object. This is difficult for strabismus patients, as their eyes don’t align to create a clear, single image. The result can be double vision and/or suppression. 6. Cause of eye turn - The root cause of a patient’s strabismus plays a big role in treatment options and the extent to which vision therapy can improve the condition. In most of the strabismus cases we see, it is the result of poor development of visual skills. Fortunately, regardless of the type of strabismus, vision therapy can help strabismic patients improve their functional vision. While the types of strabismus may differ, the goal of treatment is the same: retraining the entire visual system so the eyes will work together. Strabismus exists because the patient is not utilizing their vision optimally. Through vision therapy, we work to get the brain and eyes to work together more effectively. A typical vision therapy treatment program includes activities and procedures done in the office and at home designed to help change how the person is using their vision. Understanding the condition is the first step to improving one’s quality of life. Knowing the nature of the eye turn helps us determine the best approach to take with therapy. The good news: regardless of the type, vision therapy can help strabismus patients improve their vision. Learn how vision therapy helped improve the life of a young girl struggling with strabismus.